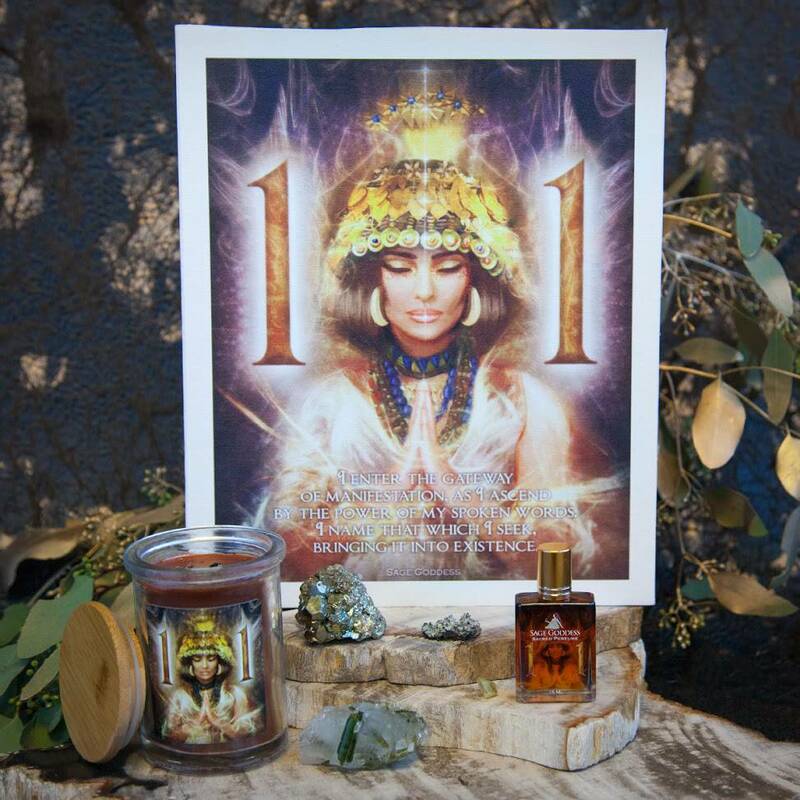 Let a peace that surpasses all that you can comprehend or imagine come into your life and space with these Peaceful Healing Specimens! 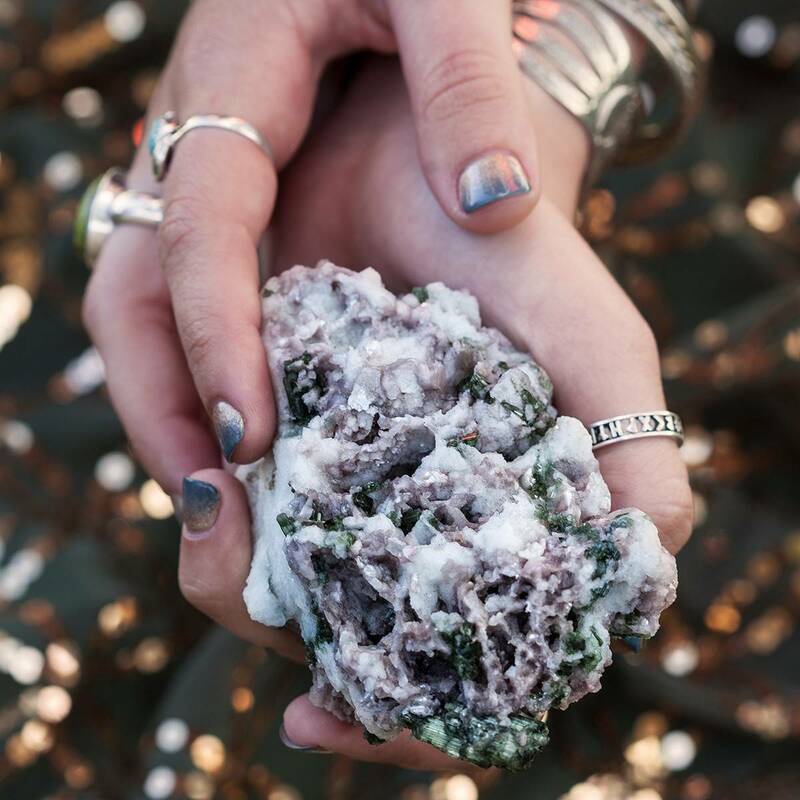 These pieces feature lepidolite with albite and green tourmaline — three gorgeous gems which join forces as one holy trinity of peace, healing, and vital wholeness. I don’t sell albite often and was so thrilled to find this rare crystal within these breathtaking stones. Albite is one of the most powerful gems for eliminating fear. This stone pulls us to dispel of any doubt that prevents us from walking our soul path with confidence. 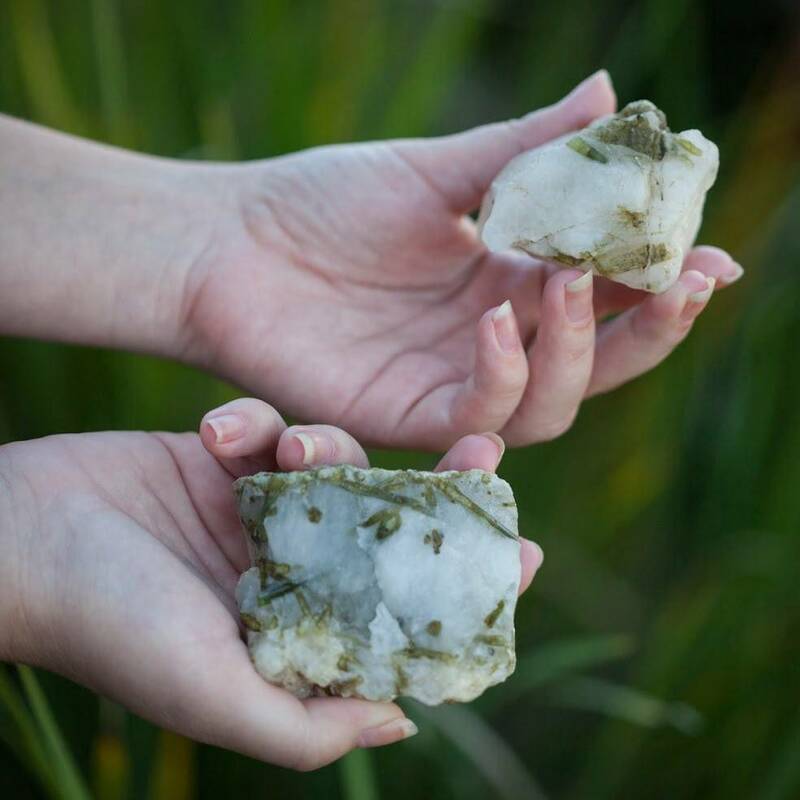 When combined with green tourmaline, a stone of heart-healing, and lepidolite, a talisman of stress relief and calm, as in these Peaceful Healing Specimens, you get a powerful tool that will keep any unwanted energy away – so that you may relax and relish in the splendor of life! Lepidolite is the stone of serenity. It calms frayed nerves, helping to release stress and worries. 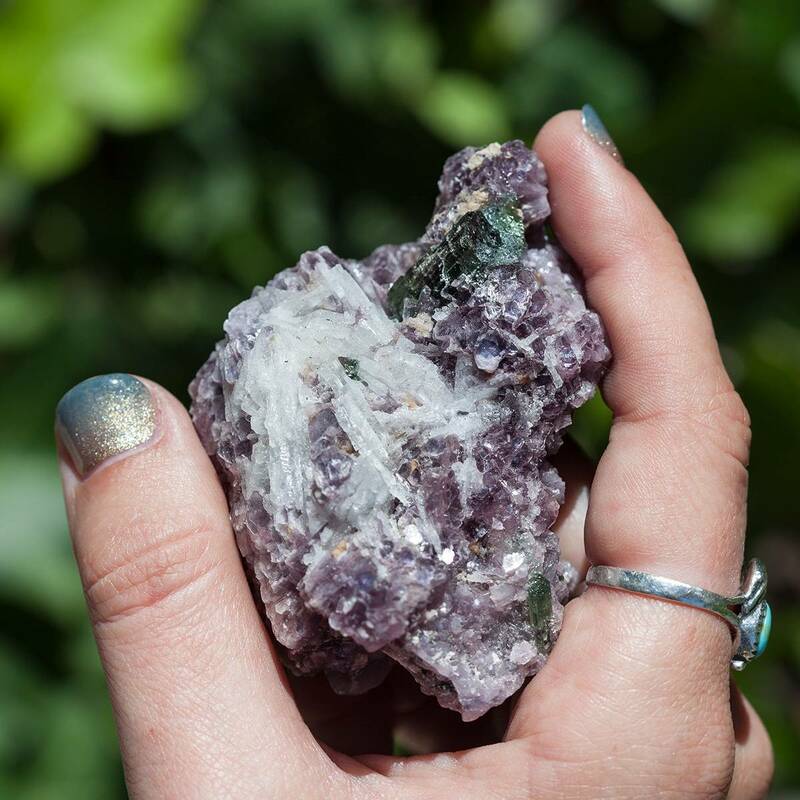 A stone of the Third Eye Chakra, lepidolite is a peaceful gem that emits soothing, peaceful vibrations. It dissipates negative energy – none can sustain itself in its presence. It is a stone that aids our physical and emotional being in so many ways, as it provides peaceful sleep, promotes rest and recovery from illness, eases anxiety attacks, and elevates mood. A natural, crystallized form of lithium, lepidolite grows with tourmaline and kunzite and is proven to lighten moods and lift depression. Green tourmaline corresponds to the Heart Chakra and works on the physical heart. It harmonizes with the energy field of the physical heart thus bringing healing, strength, vitality, and wholeness to the entire physical and energetic body. Green tourmaline is the stone of wisdom and financial windfall. It evokes the warrior within you. Green tourmaline is also a close relative of pink tourmaline, so it resonates intimately with the Heart Chakra. As the masculine counterpart to the feminine energy of pink tourmaline, green tourmaline will infuse your self-empowerment with delicious dynamism. It opens and activates the Heart Chakra and allows you to see and pursue your path to love. Albite eliminates the fear of the unknown, helping you to find the course of action that emboldens you to take the needed course of action for your life. 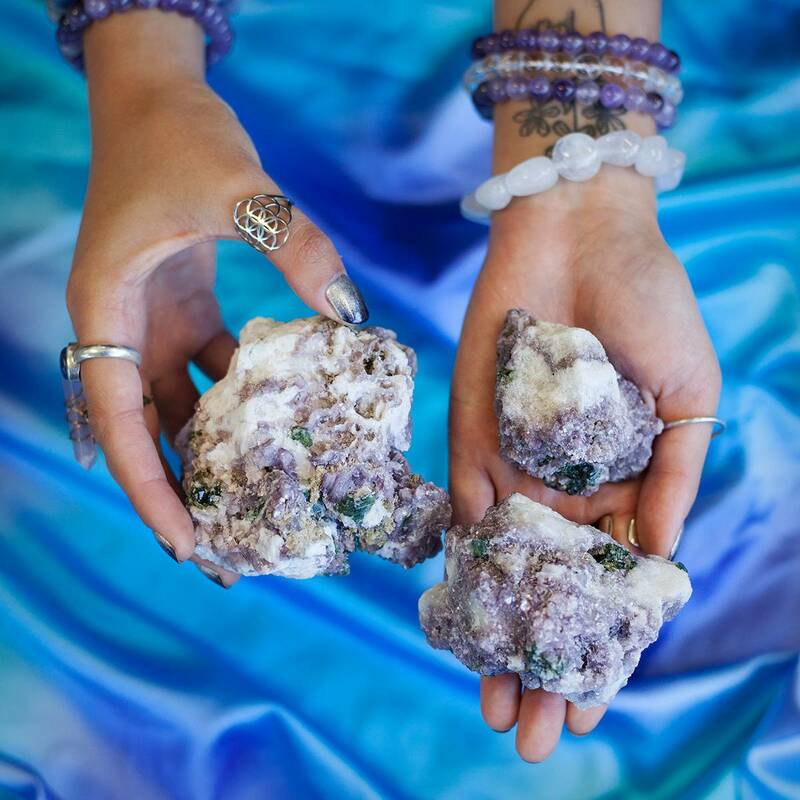 A stone of the Third Eye and Crown Chakras, albite opens the connection to the higher chakras – to the psychic and intuitive aspects of the self. It is a very useful talisman during astral travel and can be used to facilitate lucid dreaming. Albite purifies the auras and stimulates clarity in thought. the third eye and connection to the psychic self and the intuitive aspect of the mind. 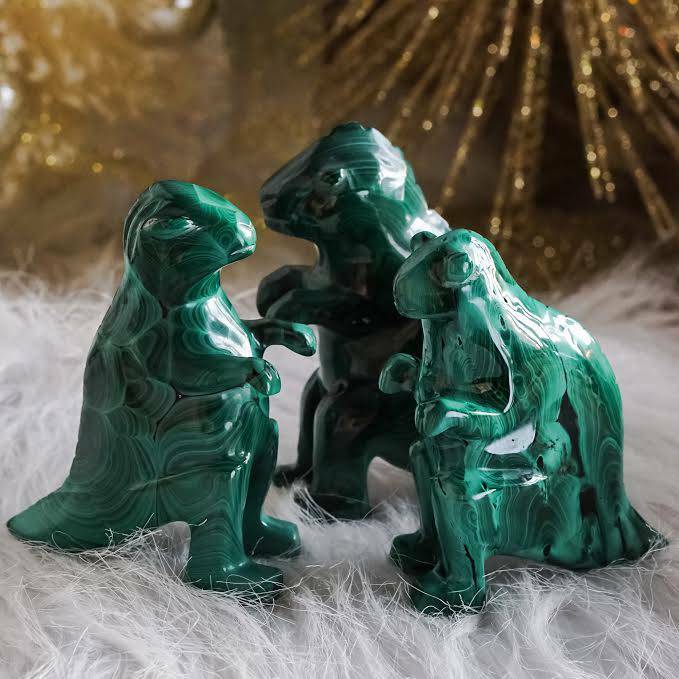 Work with these Peaceful Healing Specimens to clear any stagnant mental energy and to allow for the fresh circulation of ideas, courage, and confidence to implement those ideas. Place these pieces on your altar or healing rooms to allow its essence to permeate your space, ushering in stability, peace of mind, and relaxation. This listing is for one (1) Peaceful Healing Specimen. I have three sizes to offer you: small (about 1-2”), medium (about 2-3”) and large (about 3-4”). Please select from the drop-down menu the size that resonates with you. Yours will arrive lovingly parceled along with a single leaf of white sage and a parchment describing the properties of the stones.